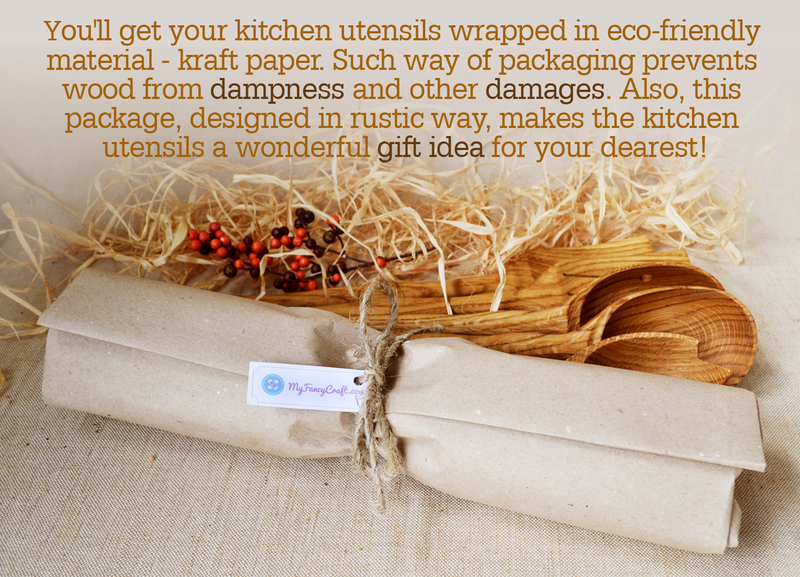 ✔ All products are 100% Biodegradable, Natural & Eco-Friendly, Antimicrobial, with Food Safe Finish for added Protection, lightweight and comfortable handle for stress-free cooking! ✔ 100% Customer Satisfaction Guaranteed! If you don't love it - return it! Simple! 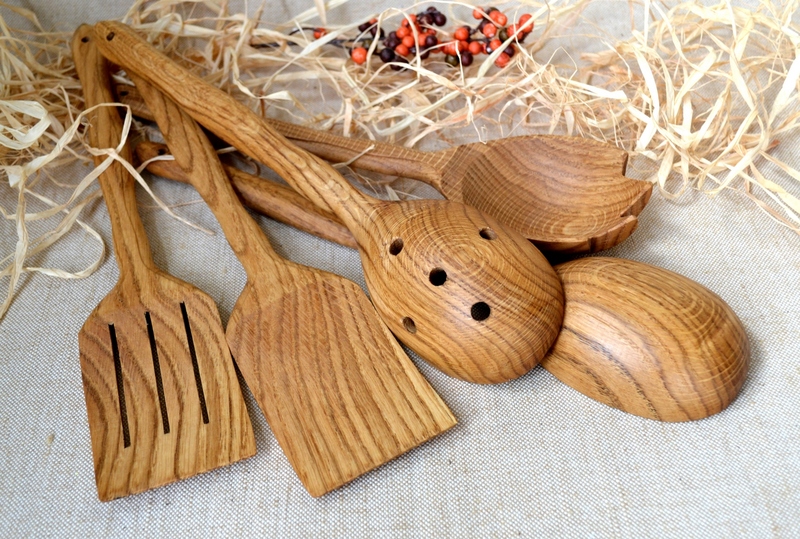 Our Natural Wood Cooking Utensils are made from solid Oak wood that, with proper care, will last a lifetime for all your cooking or serving needs and withstand heat very well. 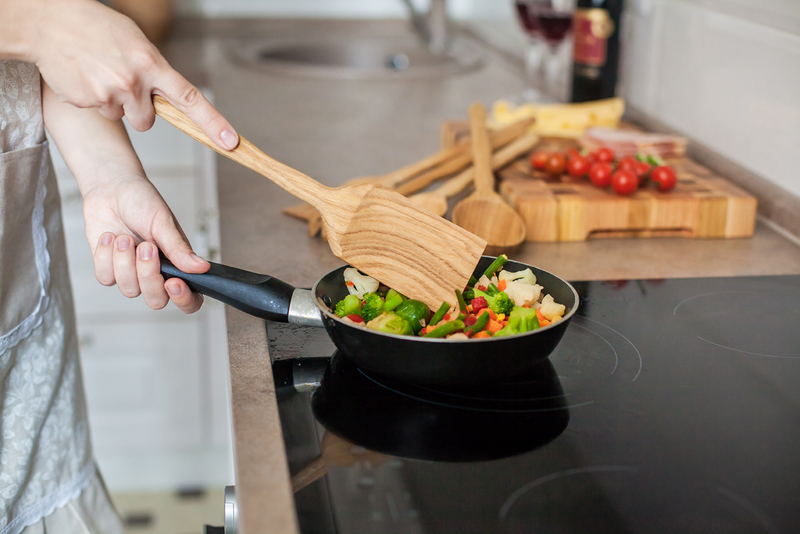 Wood is the ideal material to use on any of your high quality and expensive cookware to ensure you will not scratch or damage them! 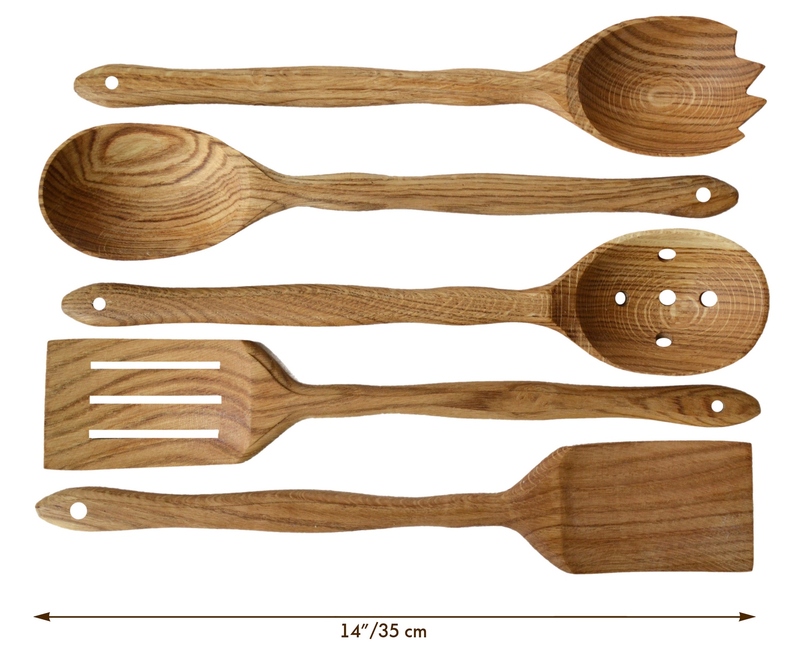 Wooden kitchen utensils are artificially polished by our artisans, so the wood grain, color, weight, specifications may have a tiny difference, also, for this reason, every wooden product is a unique artwork. 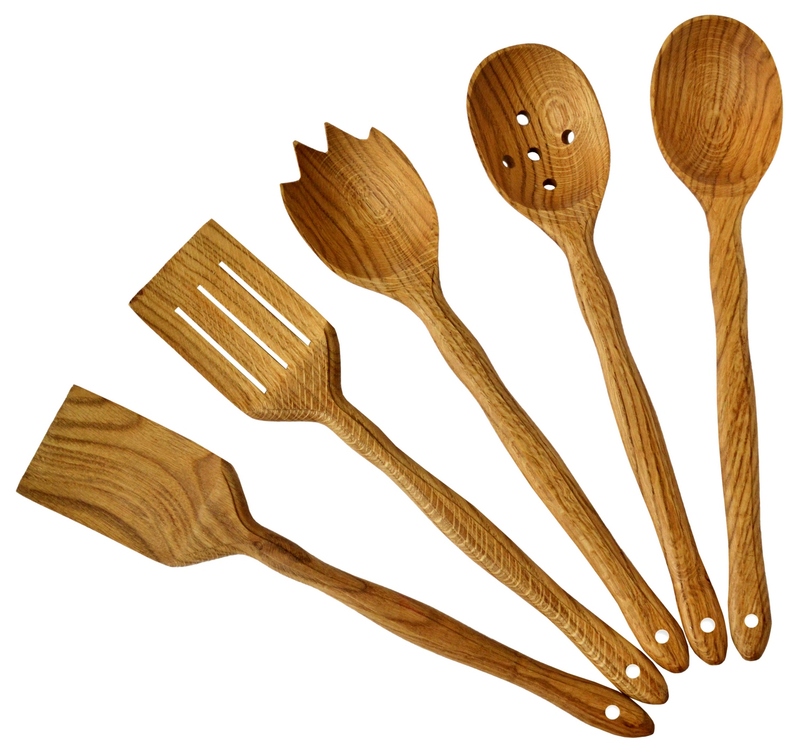 All products are 100% Disposable, Biodegradable, Natural & Eco-Friendly, Antimicrobial, with Food Safe Finish for added protection, lightweight and Comfortable Handle for stress-free cooking! Add a fun, stylish and unique look to your kitchen with this beautiful modern wood finish! Easy to clean, just use lukewarm water and soap, and self-dry! 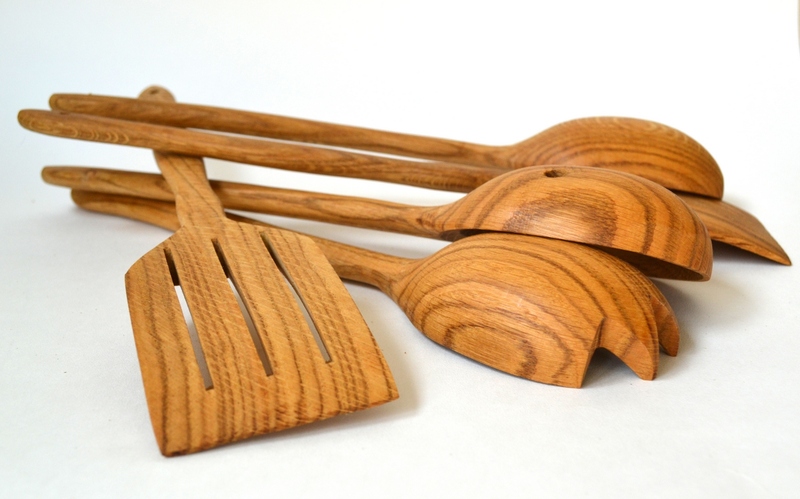 Hand washing is the best way to clean any wooden kitchen implements. A dishwasher has too much heat and chlorine, and that causes premature cracking, splitting, and splintering. 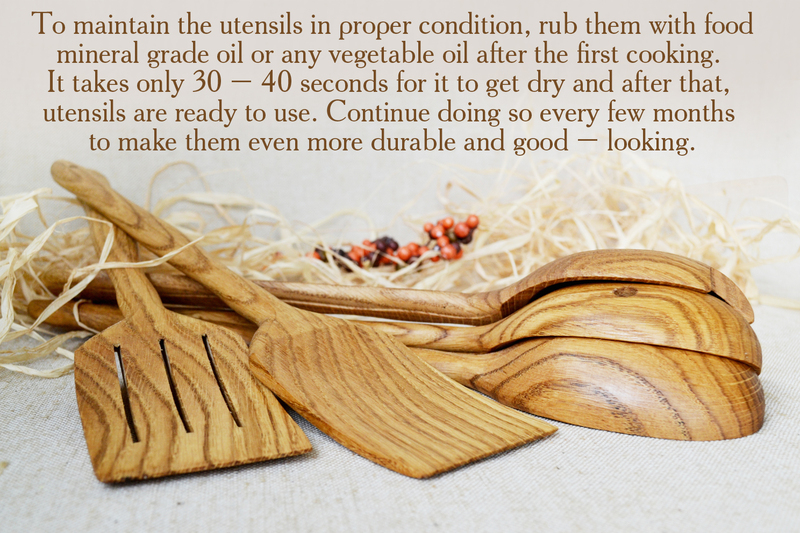 In case the wooden utensils darken in color over time, wipe them with rubbing alcohol to restore their original color. 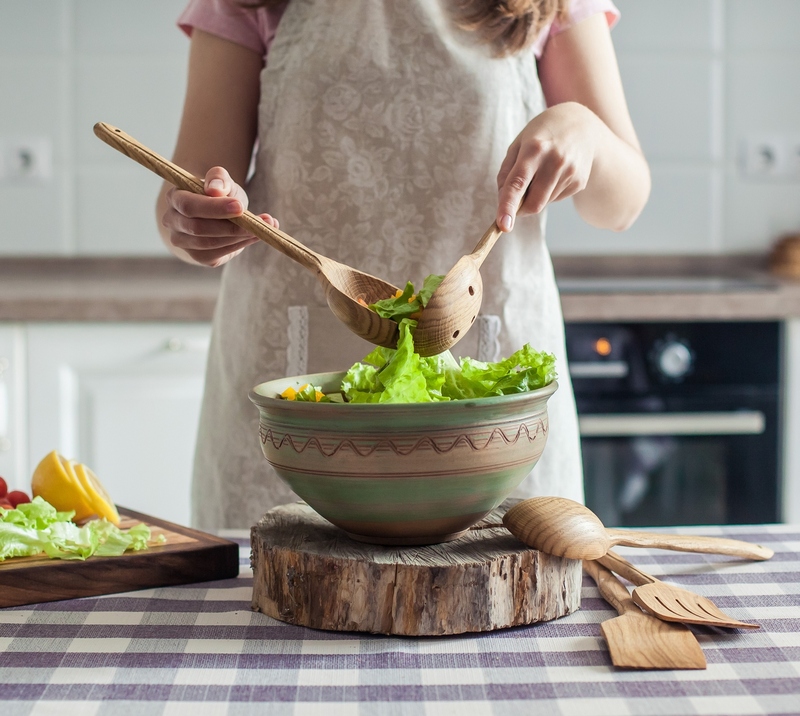 TO MAINTAIN THE UTENSILS IN PROPER CONDITION, RUB THEM WITH MINERAL OR VEGETABLE OIL AFTER THE FIRST USE, AND CONTINUE TO DO SO EVERY 2 MONTHS. Do not store wooden goods near the heating devices or leave them in the sun, the wood dries up, and later cracks may appear. Best place for keeping wooden goods is in the locker or any other dry place. Do not leave wooden items in a container with water for a long time. Drying in any drying equipment is contraindicated and leads to deformation and cracking.